Future firms, new law, AFAs…there are a number of terms being bandied about predicting an imminent seismic shift in the delivery of legal services. And while research indicates that change is happening and will continue, we are yet to reach the tipping point. There is a journey to be undertaken and while some will evolve fast, others will be left behind. So, what are the key factors driving in-house counsel’s external spend that private practitioners need to understand? 21% of respondents agree their main firm offers alternate billing methods that work. So, if only one in five GCs is getting a good deal, what will the other four do? It can be tempting to assume that your own firm is immune to these statistics. You’ve got great relationships and the best people in town. What you may not consider is that receiving continuous work from a client is not the same as brand loyalty. Rather, it could just be a client waiting for someone to develop a service that better suits their needs. So what can a law firm do? And what is on the in-house counsel’s wish list? It is no secret that the first item on the wish list is hourly billing. Only 4% of GCs think that hourly billing is an appropriate method and yet this is an area not being addressed. Alternate fee arrangements that offer a discounted rate are generally perceived as no more than hourly billing in another guise. To clearly address this issue means throwing out the billable hour altogether and becoming true service providers that scope and cost the project according to the clients needs. In doing this, the firm will have to apply the following principles: scope the work, assess the resources, agree on the terms, manage the project to time and on budget, and evaluate the performance. What is value to the client? In short, value is the balance of time, quality and price required by the client, so that they can demonstrate their value to the organisation. To conclude, it is all about the mindset you choose. This can be illustrated by the fact that managing partners of law firms in the US are on exhibition stands at in-house conferences. For them it’s all about meeting GCs in a neutral and fun environment – and putting their best people out there. 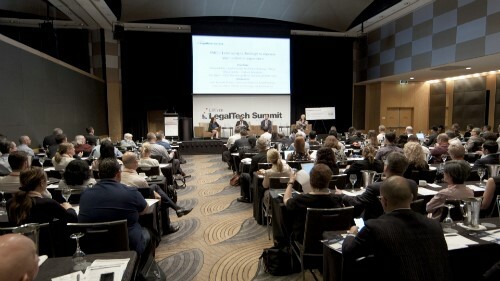 It’s a startling difference in the approach of delivering legal services and one that Australian firms could learn from!